It is amazing what controversy 2 words can create. Then it should have been no surprise to Google the minefield they stepped into when it made a small change on its local home page in Palestine. It announced that it has replaced "Palestinian Territories" with "Palestine". In the hyper-sensitive world of Israeli-Palestinian relations the move triggered outrage. The change was thought to infer that Palestine was now being legitimized as a sovereign state rather than disputed "territories". Israel has questioned the move, stating that it raises questions about the multinational company's involvement in international politics and damages prospects for peace. As with the successful bid for upgraded status at the UN General Assembly (non-member observe state), Palestinian President Mahmoud Abbas signaled Google's move as a victory for Palestine and another step forward in their quest for liberation. Many seem to think Google has an ulterior motive, though they claim they are following the lead of the UN, the Icann (Internet Corporation for Assigned Names and Numbers), and the ISO (International Organization for Standardization), and that they always consult a multitude of sources and authorities when naming countries. 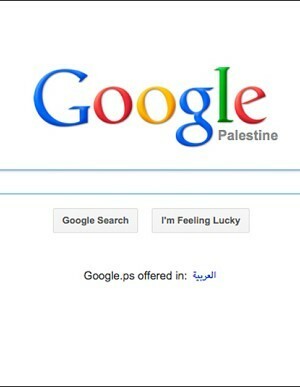 Is Google seeking to legitimize the Palestinian cause? Or are they simply adhering to the new international norm? Do they even have anything to gain from doing so?